All Zeppelins are airships but not every airship is a Zeppelin! The man whose name has been appropriated for an entire category of flying apparatus was set on this particular path literally by accident, a riding accident that put him into bed, where, plagued by delirious fever, he mumbled about flying ships. Once recovered, and already quite late in life, he hung up his spurs, again literally, and embarked on an entirely new venture. Which took another quarter century to come to fruition. The quote above is from 1863 so the good Count had airships on his brain for a while. That first flight of his was in a captive balloon and it just so happened that right around the time of his accident a book about airship travel had been published and one of the first copies been given to Zeppelin by a fellow officer to distract him from his misery. Belafi (b. 1948) has grappled with this subject since the 1980s and published other work on Zeppelin/s. 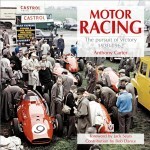 As there is no Introduction to the book and the Impressum page doesn’t mention it, the dust jacket referring to this book as “new” is ambiguous: it is new inasmuch as it is the first English version of a book published in 2012 in German by Motorbuch Verlag (ISBN 978-3613034099). For what it’s worth, that version’s landscape format worked well with the illustrations. That said, the English version is at 8½ x 11″ positively “oversized” in comparison to this publisher’s usual smallish offerings. At school, Zeppelin’s teachers’ verdict was: “No outstanding abilities as an engineer.” He wouldn’t have argued; it was as an inspirational leader and team builder that he achieved his monumental task. 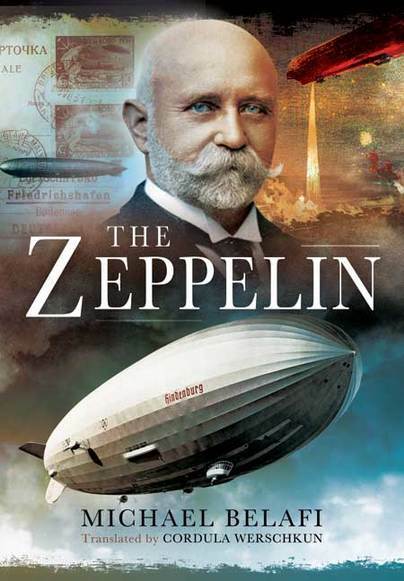 The titles of chapters 3 and 4 aptly encapsulate Zeppelin’s career as an airship builder, “How Zeppelin Turned from Fool to National Hero” and “The Brutalisation of Zeppelin’s Work.” A closing chapter deals with the modern-day Zeppelin “NT” and the CL160 cargolifter project, the latter very much deserving of its own book and oddly reminiscent of the old Count’s struggles to gain traction. 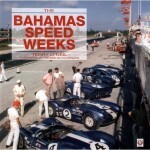 Splendidly illustrated (photos, drawings, facsimiles of flyers, brochures etc.) this book tells a lucid story (good translation, too). A math/physics teacher by trade, Belafi had access to Zeppelin’s archives and the collaboration of and input from many in the airship community.